For an efficiently operating office few pieces of office equipment can be as helpful as a reliable copier. Not a lot of small businesses take into account how much paperwork will be necessary to operate their growing business. their offices. This is especially true of the Xerox Colorqube. The Colorqube has almost every feature that a small business could possible want out of one copying device. The Colorqube is capable of color copying, stapling, scanning, and faxing. All of these features in one device will help make your business the most efficient it can be. This efficiency will allow your workers to concentrate on growing the business in other ways that they were not able to focus on. 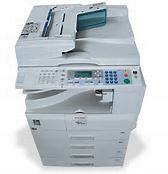 If your business needs a new Xerox copier and you need help sorting through all of the various features and copier options that are out there, we would love the opportunity to help your business get the device that it needs to succeed. Please call me at (303) 586-7704 and we will get your Denver area business the copying device it needs to succeed in the modern economic context.